Bird Box 2016 promises to be bigger and better! Offering an even better service to schools across the south-east of England. Read this page to find out about the changes we are making to improve our service to schools. When is the service going to start streaming live video? The new Schools Birdbox project streaming service will be streaming live from early January 2016. This will enable schools that have installed the webcam feeder cam to observe the domestic birds that frequent our school grounds during the winter and see later the early arrivals from the continent and North West Africa. Can my school still join the 2016 Bird Box Project? 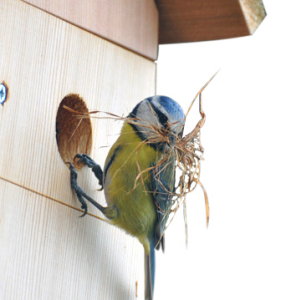 The closing date for joining the 2016 Bird Box project is Friday 28th February 2016. All schools that join the project on or before the deadline will have their boxes installed by Friday 5th March. Obviously we encourage schools thinking about taking part to join ASAP but do not deterred. Last year three of the five schools that joined the project in the last week of February had pairs of nesting birds settle in their boxes just days after the boxes had been installed. Live streaming from January to the end of November 2016! Yes! This year we are extending our streaming service to enable schools to observe activity in their Bird Boxes and on their feeders from the beginning of January until the end of November. Taking this action we hope will enable your pupils to follow what happens to the chicks after they vacate the nest and learn about which birds use the feeding station all year round. 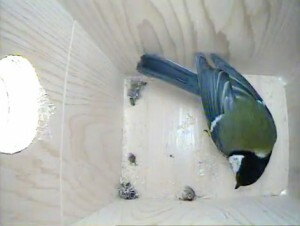 Why your school should consider installing a BirdBox webcam in the school grounds. The Schools’ BirdBox project is an exciting opportunity for your pupils to "give nature a home", and learn about the many birds that visit our school grounds throughout the year. Managed by the South East Education Group, the 12 week educational project for Key Stages 1 and 2 pupils is an important part of the BirdBox programme. Launching in mid March and finishing at the end of June, this exciting project offers your pupils the unique opportunity to watch live footage from inside your birdbox, and learn about the feeding habits of the many birds that visit your bird feeding station. The Bird Box Newsletter – Circulated weekly to support the educational project the newsletter will feature tips for children on a variety of topics including garden birds, bird box building, feeding, coastal and wetland birds and migration facts. And if that is not enough…………… then find out via the website how your pupils can take part in regular Q&A web conferences with our team of birding experts and the exciting “BirdBox School Based Activity Days” that will be taking place in March, April and May. How can our school be part of the schools Bird Box project? 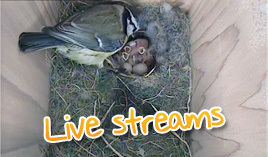 Registration for the 2016 project has now closed and the project is in full swing, schools from across the region are streaming live from their birdboxes and feeder stations. At the same time, we are also busy planning exciting new developments for next year. Whilst continuing to grow the project in Kent and Sussex, we will be expanding the project in to a number of new regions in our area. If you would like to register your interest in taking part in the 2017 project, please see here.